Moved by the plight of refugees in Europe, a number of technology industry people, led by Mike Butcher, Editor at Large of TechCrunch, formed a voluntary team to create the series of non-profit “Techfugees” conferences, hackathons, and work with a global network of collaborators. In it’s first 48 hours our Facebook Group and Twitter account exploded. Today there are now over 18,000 members of Techfugees, demonstrating a huge desire amongst the tech community to get involved with this issue. Our events are entirely non-profit, designed to bring together tech engineers, designers, entrepreneurs and startups together with NGOs and other agencies in order to address the challenge of refugee migration in ways where the technology world can bring its considerable firepower. Techfugees is a non-profit coordinating the international tech community’s response to the needs of refugees, asylum seekers and displaced people. It exists to empower the displaced with technology. Techfugees organises conferences, workshops, hackathons and meetups around the world in an effort to generate tech solutions for and with displaced people. It also curates and promotes the best projects it finds for partnerships & implementation in the field. 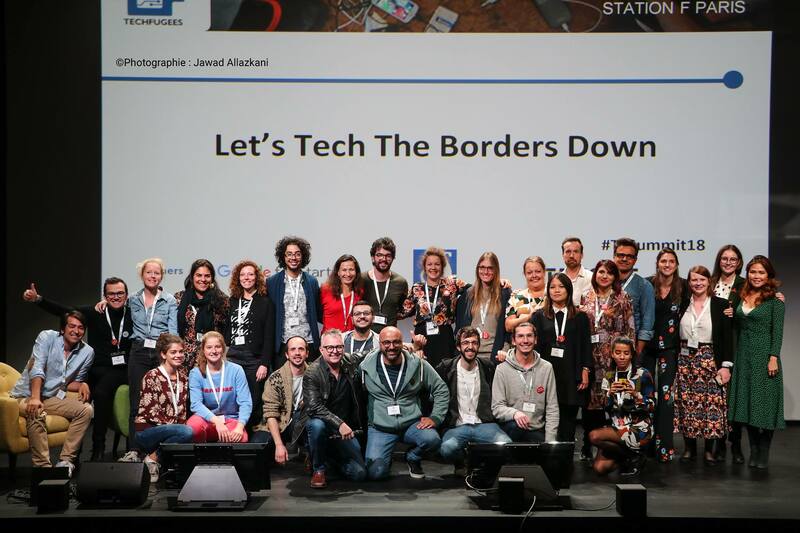 While we are not involved in creating or marketing apps directly to refugees, Techfugees will promote and push tech solutions as a way of keep technology in the global conversation about refugee issues. It is no secret that, for all technological projects, the ideation phase is the tip of the iceberg. To take an idea all the way to completion, it takes a lot of resources and a certain amount of cash. We, at Techfugees, act as a very strong idea generator, but to become a supporter of every idea to completion would be impossible, if not, require Techfugees to become a very different organization. So first: these guiding principles are aimed at providing you with the necessary guidance to start and support the development of your project. Second and final: there is always an iceberg of additional resources and partners needed for a successful implementation, and we, at Techfugees, can strive to support and facilitate connections to partners through hackathons, meetups and summit. If you are developing a tech project aimed at displaced people, have a look at the Techfugees Global Challenges Competition. Read about last year’s selected projects and hear their pitch on our youtube channel.